Two types available: D-type and R-type. Various driven: Electric engine, diesel engine, gasoline engine and PTO. 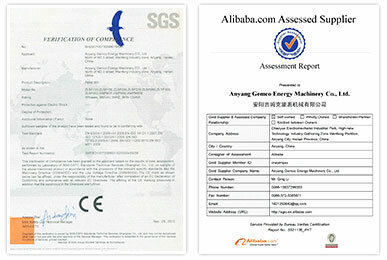 Capacities range from 80 to 800kg/h. Suitable for home use, small plants, farm, etc. document, we will reply to you within one business day. 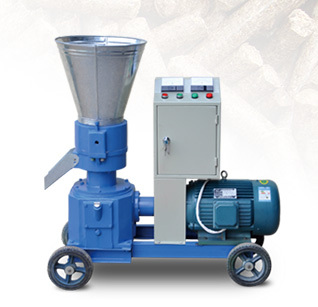 GEMCO has various kinds of small pellet mills for you to choose. See details in the list below. Why should I choose GEMCO pellet mill? GEMCO has been devoted itself in pellet mill industry for a long time with rich experience in pellet mill developing, manufacturing and raw material processing. Over years of research and develop, GEMCO pellet mill has been improved with high quality, stable running and low price. GEMCO has large quantity of customers all over the world.You don’t need to worry about its operation, since we can teach you on how to make your own pellets. 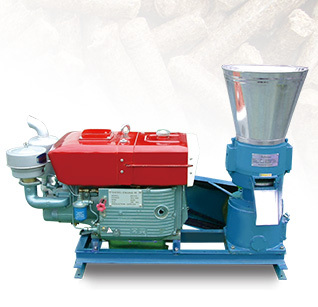 Which type of pellet mill can I choose? Depending on working principle, the small pellet mills can be divided into die rotating type (D-type) and roller rotating type (R-type). While depending on power source, they can be divided into electric motor type (ZLSP B series), diesel engine type (ZLSP A series), PTO type (ZLSP P series) and Gasoline engine type (ZLSP Q series). How to distinguish D-type and R-type small pellet mills? 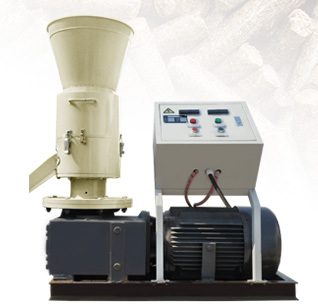 Which one is suitable for me, D-type or R-type small biomass pellet mill? 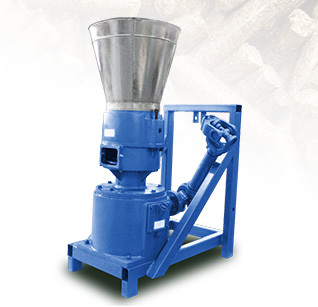 D-type small pellet mill is often used to make pellets from softwood like pine, spruce, cedar, eucalyptus, poplar or crop waste like straw, stalk, peanut shell, rice husk, bamboo powder, and so on. It has high productivity and low price. So it is suitable for people who make pellets for own use. 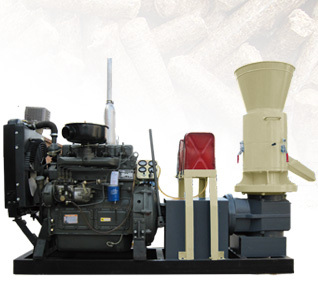 R-type biomass pellet mill has better performance for hardwood like beech, birch cypress, elm tree, hickory, oak, etc. than D-type. It can make sawdust pellets with better quality, higher density and smoother surface, and all its parts are better than D-type but also with higher price. It is often good choice for people who want to make pellets for sale. GEMCO offer 1 year quality guarantee to the whole machine of our small pellet mills from the date when the cargo is shipped. If you need our advices on the pellet production, or you have special requirements on the pellet mill or the spare parts, our accomplished engineering team is willing to help you and give the professional suggestion and comprehensive guidance within 24 hours. To lower your shipping cost, you would better to order several sets of spare parts along with the cargo in case the original ones wear out. Also, the moisture meter is available to choose. If you need spare parts after you have used the pellet mill for some time, you can also get the replaceable ones from us!